Is it pos­si­ble to talk with an­i­mals? Fol­low­ing this ques­tion, the film­maker ex­plores dif­fer­ent forms of an­i­mal com­mu­ni­ca­tion. 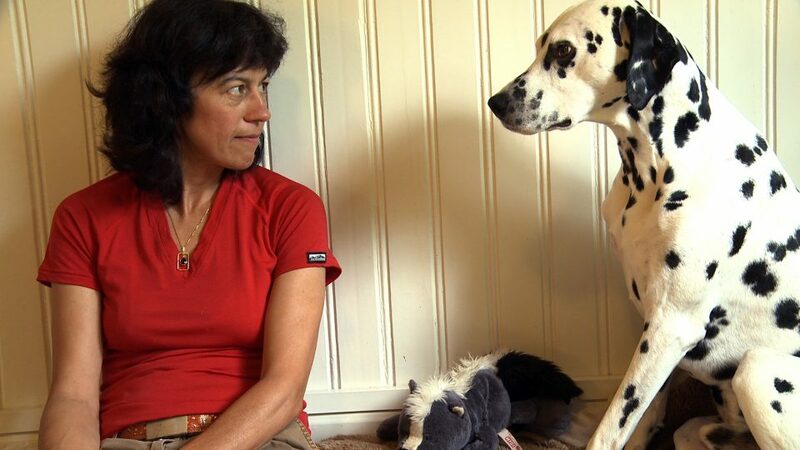 She wants to calm down her ex­cited dog Bina. The jour­ney leads her from Switzer­land to Eng­land and to Ari­zona. She meets an an­i­mal com­mu­ni­ca­tor, two an­i­mal teach­ers, a bi­ol­o­gist, an an­i­mal ther­a­pist, and the founder of „The Trust Tech­nique“. On eye level with dogs, horses, cats, dol­phins and a goat she un­cov­ers their sen­si­tive way of per­ceiv­ing and com­mu­ni­cat­ing. Get­ting fa­mil­iar with their lan­guage and train­ing with her dog she learns more than she could have wished for. “Being with Animals” is shown in Swiss cinemas end of 2018. © 2019 Studio Mitte — All rights reserved.